Map of Indonesia, South East Asia, China, Japan and north west Australia; Southern Australian coast to St. Francis Isles. Tasmania omitted. Known Shipwrecks marked. Koeman, Goos 1 Tooley, 670. 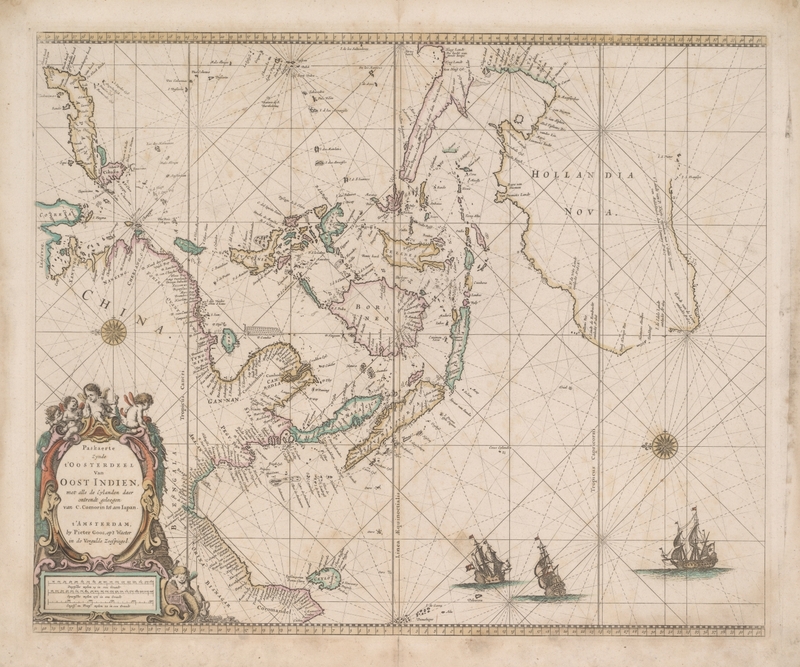 From : De Zee-Atlas ofte Water-Weereld ... By Pieter Goos, ... 1666.